After that shambles of a really catchy song "Hey Porsche" that Nelly released, Nelly now enlists Nicki Minaj and Pharrell for "Get Like Me" - produced by Pharrell himself. 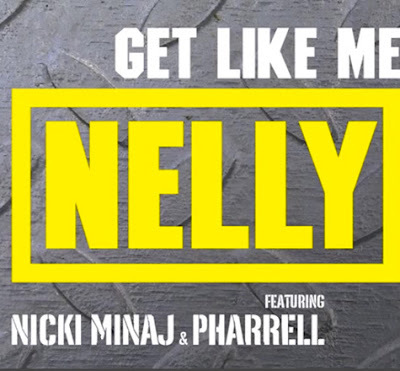 "Get Like Me" will appear on Nelly's forthcoming album M.O. with Nicki Minaj spitting her bars as always and Pharrell adding his own little touch to the hook of the song. A refreshing Summer track from Nelly and he doesn't stop there, he'll feature Nelly Furtado, T.I., Trey Songz, Wiz Khalifa and more on M.O. due later this year.